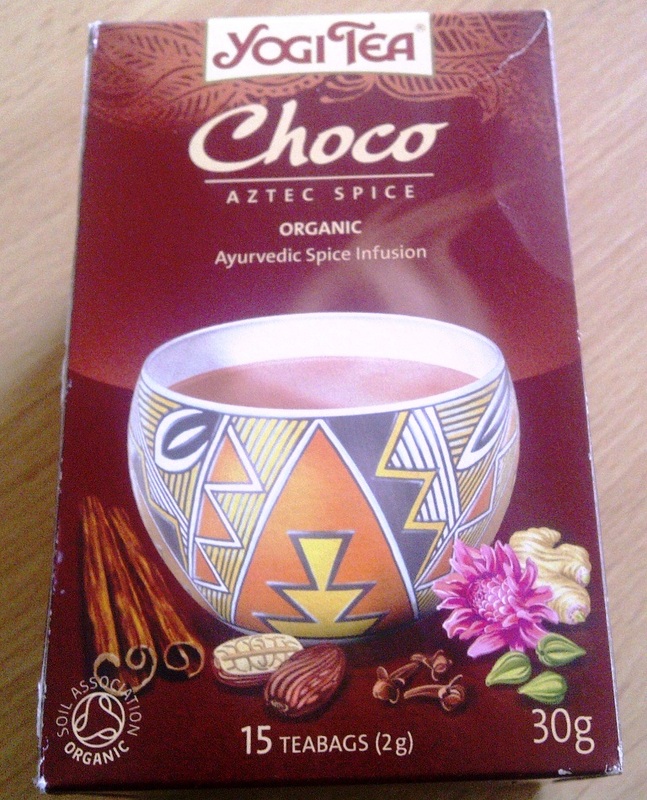 I like chocolate and I like tea so when I was browsing in Holland and Barrett and came across organic Yogi Tea Choco Aztec Spice I had to pick up a box and give it a try. When I mentioned I was drinking it on twitter, lots of people asked me what it was like so decided to write a review about it. The 15 teabags in the box come individually wrapped. Exotic spices from the Far East blended with pure cocoa shells from South America, give this tea a deliciously unique taste and aroma. The wonderful flavours of ginger and cinnamon delicately mingle with the unmistakable essence of cocoa, warming body and spirit. In my head I had imagined a rich chocolate tasting tea but the reality after waiting what seemed like ages for it to be ready (7 minutes is just too long for me to wait for my tea!) was a delicately flavoured water that was more spice than chocolate, with a very subtle after taste of chocolate. It certainly is warming but I felt a little disappointed by it and although pleasant enough for me to finish the box, I won't be repurchasing. If you like spice flavours then I can see that this might appeal to you. It is not a sweet drink so you can add sugar/sweetener to taste but I always drink mine pure. Cocoa shells* (65%), liquorice*, cinnamon*, carob*, barley malt*, cardamom*, ginger*, cloves*, cinnamon extract (natural flavour), vanilla extract (natural flavour), black pepper*, ginger oil*, vanilla beans*. *certified organically grown IMO GmbH, Germany. Yogi Tea Choco Aztec Spice is currently on sale at Holland and Barretts for £2.15 for a box of 15.